Has the summer heat got your hair feeling dry and brittle? Too much chlorine and sun negatively affecting your tresses? Well look out ladies, do I have a solution for you! Actually, if we’re speaking in technical terms, Mother Nature has some hidden hair gems for you to use. The secret to fabulous movie-star hair is easily attainable by simply incorporating one single all-natural element into your life. And no ladies, I’m not talking about wine. Oils is the name of the game! Oils are the solution to so many problems, I could actually laugh at their underestimated power. I myself, am an avid essential oil user as well as hair wanna-be guru, so I can attest to the importance of learning all about the benefits oils will provide for your hair, skin and overall quality of life. Get the salon look and feel in your home, at a fraction of the price. Hot oil hair treatments are a great way to learn to treat yo’ self, as the kids around the block would say. Self-care, maintenance and personal love are such important factors in having a happy life, and starting a hot oil treatment for your hair will help to relax you like nothing else. Be the hair that all others envy, give yourself some much needed me time and learn an all-natural, cost-efficient fun way to do it in the process. Got your attention yet? Great, let’s dive in. How many of us wish we could have flawless wavy mermaid hair that was down to our bottoms that we never had to brush or style and dye? Virtually all of us in some form or fashion has had to spend more money than we wanted towards something hair-related. Can I hear an Amen ladies? From bad haircuts, to over-chlorinated pools and harsh dye jobs, our hair has gone through a lot over the years. Our scalp has most likely been damaged in one way or another, and in order to achieve our desirable healthy-hair look, we need to do some serious damage control. That’s where hot oil treatments come in. A hot oil treatment helps to strengthen, prevent split ends, stimulate blood flow to promote new hair growth and lessen dandruff, dry scalp, frizziness, breakage and shedding. Different hot oil treatments do different things, so it’s all about the specific needs your hair has. Each oil has different properties that can better treat specific hair types problems. Olive oil and coconut oil are weaker oils so depending on the severity of your case you might want to go with something stronger such as a wheat germ or sunflower oil. If you decide to go down the route of making your own hot oil treatment make sure to do your research and pick oils that have protein preserving properties, as it’s all about how the oil is able to penetrate your hair follicles. Remember, ANY natural oils can be used on your hair. The best, however, to repair and promote hair growth are of course unrefined, pure and extra virgin oils. Doing an oil treatment is actually insanely easy to accomplish, and in no time your hair will be feeling better than ever. All you’ll need is the oil, container, heating supplies, a towel and shower cap. Some sites will mention that you can wrap your head in plastic wrap. Reuse and recycle has been my New Year’s Resolution, so with that being kept in mind DON’T wrap your head in plastic. It’s horribly long processed and wasteful (and we’re not going to do that because we care about the environment). Also, when you wrap your head with excessive plastic... you'll look like an idiot. No sugar coating it, get a reusable shower cap. No matter which hot oil treatment you decide to go with, the preparation methods remain universally the same. If you are using an all-natural oil such as olive, coconut or an oil blend you want to make sure to never heat up the entire container that the oil is in, as you’ll waste a lot of oil, and it will lose many of its beneficial properties in the process. Always scoop out the desired amount, placing it in a glass or heat-safe bowl. Remember, a little oil can go a long way, you don’t want to overdo it for many reasons, however, the worst being that oil is just so darn messy and hard to wash out if overused. You want to bring a bowl about a cups worth of water to a boil on the stove. Carefully place the glass bowl with desired oil amount inside into the heated water, making sure to not allow water to overflow into the bowl and mix with the oil. Turn off the heat on the stove and let the container warm in the water for 5-10 minutes. Cautiously take out the container with an oven mitt or something protecting your hands, so you won't burn yourself. Be sure to let the heated oil cool down a little before applying to head. Once the oil has cooled, use your fingers to massage it into the scalp, going in slow circular motions all around the head. 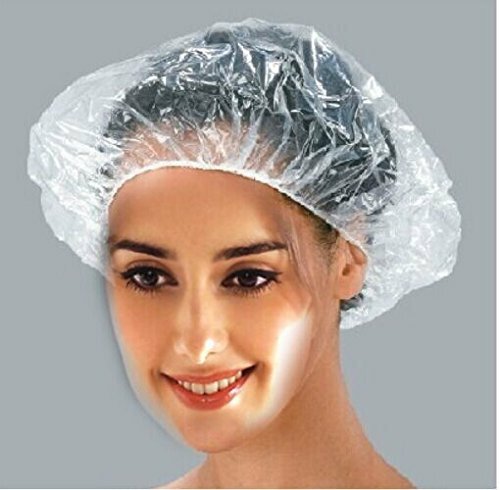 Work your way from the roots all the way down to the ends, making sure that your entire head is covered and soaking before putting on your shower cap. You always want to make sure to apply the heated oil to recently washed (shampooed) hair. You shouldn’t have conditioned your hair prior to application because the scalp will be unable to properly soak in the necessary oils and never apply the hot oil treatment to dirty hair because your already oily strands won’t reap all the new oil benefits. Before oil application, your hair needs to be damp, but not soaking. The processing can go a multitude of ways depending on your preference and time availability. For extremely dry hair, I would suggest sleeping in the oil treatment, letting the hair soak overnight. If you're worried about oil leaking from your cap, just lay a towel down over your pillows and it should be fine. For a quicker fix, heat up a towel with hot water, making sure to wring it out and then vintage-style wrap that sucker around your head too, catching up on your latest Netflix episode while allowing the heat and moisture to help open up your hair cells. Pro Tip: If you want to have hands as smooth as a baby’s bottom, take your oily hands after they have massaged your scalp and strands and put them in the Grey’s Anatomy plastic doctor's glove for about 20 minutes. After you remove them and wash them in the sink, you’ll never want to stop showing people (okay, and maybe touching too) your new amazingly soft hands. It will revolutionize just how hand-y you are, if you know what I mean. After your hair has soaked for the necessary deemed amount of time, then it’s time to remove the cap and hop into the shower. You should try to keep the temperature heat of the shower as hot as you can reasonably stand. Shower the rest of your body and then rinse the oil out of your hair with shampoo. You may have to wash twice, and depending on the texture of your hair after the mask, you might not even need to condition. I have found that if you’re still having a hard time rinsing out all the oil that's turning the water to tepid (or slightly chilled), you’ll find the oil much easier to fully remove. Repeat this once a month to keep your hair look smooth, shiny and sleek. The above mentioned was somewhat of an overall view on how to give yourself a hot oil treatment. I also delved a little bit into the DIY (do-it-yourself) version of giving yourself an at-home oi treatment. That is my personal preference because one, I don’t really like spending extra money for less product (which is usually what you will find when you purchase pre-made from a store) and two, I like to ensure the all the ingredients put on my face are pure and pre-approved by me. My skin is very sensitive, and so is the integrity of my facial appearance so I want to make sure on the best of the best is put on my face. However, that is not at all to say that purchasing hot oil treatments is wrong or going to cause fault to your skin. The companies such as LUSH, Palmer's, L’Oreal and Josie Maran all offer reasonably priced hot oil treatments. Each reputable and have been not only approved but recommended per countless customer reviews. I even personally am a user of the first store listed, LUSH has great all-natural funky off the wall products. I love their bath bombs immensely, so I’m sure their hot oil treatments are also super fun! Whether you make your own or purchase from a store, you won’t regret treating yourself and your soon to be luscious locks to a hot oil hair treatment. 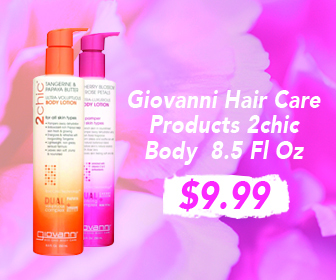 The life of your hair will be drastically revived, with everyday starting to look like a good hair day. This do-it-at-home experience will have you feeling like you visited a hair parlor. Skip the beauty salon and treat yourself to a revolutionary hot oil treatment without breaking the bank.